When dealing with scripture, 1st you must take a stand. Do you believe it to be inspired fully or not? It's an all or nothing thing. Anything else causes the Gospel & Bible to become a nice Bed Time story. 2 Pet 1:16: For we have not followed cunningly devised fables, when we made known unto you the power and coming of our Lord Jesus Christ, but were eyewitnesses of his majesty. So all scripture is useable for doctrine. However, if we take the view scripture is inspired and that God is Holy, we then can know that there will not be any contradictions. If we see a contradiction then it is our understanding that must be changed. We also must realize the differences between the Old Testament and the New. While the Old is still profitable for doctrine, we must realize the New says the Old is a shadow. Heb 8:5: Who serve unto the example and shadow of heavenly things, as Moses was admonished of God when he was about to make the tabernacle: for, See, saith he, that thou make all things according to the pattern shewed to thee in the mount. Heb 10:1: For the law having a shadow of good things to come, and not the very image of the things, can never with those sacrifices which they offered year by year continually make the comers thereunto perfect. 1 Cor 2:14: But the natural man receiveth not the things of the Spirit of God: for they are foolishness unto him: neither can he know them, because they are spiritually discerned. 1 John 2:27: But the anointing which ye have received of him abideth in you, and ye need not that any man teach you: but as the same anointing teacheth you of all things, and is truth, and is no lie, and even as it hath taught you, ye shall abide in him. and a 2nd time when & if we are baptized in the Holy Spirit. Ephesians 6:9 ... knowing that your Master also is in heaven; neither is there respect of persons with him. Colossians 3:25 ... and there is no respect of persons. So the disciples received 2 separate infillings of the Holy Spirit. One regenerates, the other empowers. There are examples where these seem to happen simultaneously, where someone believes and then begins speaking in tongues immediately or prophesying. Sometimes people speak in tongues after water baptism. In such cases, the person gets both infillings; separately but one after the other. We can see being enlightened is the 1st step and thus one has some knowledge of scripture but yet it says "have tasted the good word of God" near the end of these requirements and that after they "were made partakers of the Holy Ghost". Thus we see 2 works of the Holy Spirit there as well. So which of these 2 groups, which do exist, do you tend to be? Remember he prophesied these 2 groups hundreds of years ago! Newton was a scientist who studied prophecy. He knew that the truth of the end times would continue to unfold the closer we got to the real deal. But this truth is not upon prophecy alone but is on ALL scripture. Jn:10:6: This parable spake Jesus unto them: but they understood not what things they were which he spake unto them. and others are explained, that I have not listed here. Another factor in understanding scripture is man is caught up in religion, we must throw down any preconceived ideas, denominational ties, group mentality and put God 1st, to have understanding of scripture. This is why the Bible says man is not to have a head other than Jesus. Or a lack or "religion" is another problem, rationalization for excuse of a liberal or sinful agenda does not bypass God, He knows the hearts. 13: Neither is there any creature that is not manifest in his sight: but all things are naked and opened unto the eyes of him with whom we have to do. So those with the Hidden Manna can at times see the error of those without it because the Word separates the thoughts and intents of the heart. Having a head other than what God gives causes traditional problems. 13 Making the word of God of none authority, by your tradition which ye have ordained: and ye do many such like things. 2 Timothy 3:5: Having a form of godliness, but denying the power thereof: from such turn away. "God is not a man, that He should lie, neither the Son of man, that He should feel repentance or compunction (for what He has promised). Has He said, and shall He not do it? Or has He spoken and shall He not make it good?" "Forever, O Lord, Your Word is settled in heaven. Your faithfulness continues throughout all generations; You established the earth, and it stands. They stand this day according to Your ordinances, for all things are Your servants." "That at the name of Jesus every knee shall bow..."
Well did you know that God has put His Word above His Name? So it is also through the scriptures that we also interpret scriptures. Since the Word of God is highest in authority, we use it on itself, as well as the Holy Spirit. 36: But I have greater witness than that of John: for the works which the Father hath given me to finish, the same works that I do, bear witness of me, that the Father hath sent me. 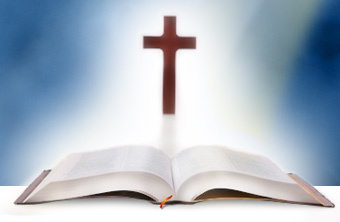 39: Search the scriptures; for in them ye think ye have eternal life: and they are they which testify of me. 18: I am one that bear witness of myself, and the Father that sent me beareth witness of me. I also recommend 1 John 5:6-12. "...'My teaching is not Mine, but His who sent Me. If any man is willing to do His will, he shall know of the doctrine, whether it is of God, or whether I speak from Myself.' "
" 'When the Comforter is come, whom I will send to you from the Father, the Spirit of truth, who proceeds from the Father, He will bear witness of Me.' "
"And they went out and preached everywhere, while the Lord worked with them, and confirmed the Word by the signs that followed." The Bible must be interpreted literally which is the way language is normally and naturally understood. We recognize that the Bible writers frequently used figurative language which is a normal and picturesque way of portraying literal truth. The Bible must be understood in the light of the normal use of language, the usage of words, the historical and cultural background, the context of the passage and the overall teaching of the Bible (2 Tim. 2:15). Most importantly, the believer must study the Bible in full dependence upon the SPIRIT OF TRUTH whose ministry is to reveal Christ and illumine the minds and hearts of believers (John 5:39; 16:13-15; 1 Cor. 2:9-16). The natural, unregenerate man cannot understand or interpret correctly the Word of God. The things of God are foolishness to him, he cannot know them (1 Cor. 2:14), and his mind is blinded (Rom. 3:11; 2 Cor. 4:3-4). Now the question to ask is, do you have an ear to hear what God is speaking? I have discovered one of the leading causes of division in the church: How to interpret scripture. If folks would remember some simple rules in this area, we would have a lot more unity and less division. Gnosticism states one must have special knowledge to understand scripture. There are different forms of this today. One common one, especially amongst denominationalism is education. Many state that the common man cannot understand scripture unless he goes to college. This is bogus, I am not sure where I learned the following, it may have been from Watchman Nee. In his book “The Normal Christian Life” where he discusses the 2 works of the cross. Not gonna get into it here, but I do wanna say that book may be the greatest christian book written and needed. Not equating or comparing it to scripture, because no book besides the Bible is fully inspired, which is what we are getting to. But I think Nee states that in college the deep courses/classes deal with Romans and the work of the cross. But yet, that knowledge should be the standard of the normal christian. Not the educated elite. Secondly, many believe certain passages in scripture should not be taken literally. This also is a form of Gnosticism. Who decides what is literal and what is not? Then those who decide such become a type of priest that all the other laity must submit to. This is a form of the doctrine of the Nicolaitins. Turning the church into 2 classes, priests and laity. When the church is really made up of everyone being priests. 5: Ye also... are built up a spiritual house, an holy priesthood... acceptable to God by Jesus Christ. Peter is declaring that all believers in Christ and are priests to God. Peter's priesthood is no greater than any other follower of Christ. Because the priesthood is Christ within us. If you read that verse it says "acceptable to God by Jesus Christ." Lets consider the priesthood, what does the Bible say about priests? We are not running in an Old Testament priesthood any more, every believer is a priest and has entrance to God. The term laity is unbiblical and wrong. Its not a church with laity and ministers, we are all priests. This is why Jesus warned the church about the laity train of thought. “Nicolaitanes” means “Victorious over the people; a follower of Nicolaus, a heretic”. It comes from the familiar word “nike”, which is popular in our day. The meaning can be better seen in the phrase: “to conquer the laity” (from “nikos - to conquer”; and “laos” - where our word “laity” comes from). Laity means “the people, or the public”. Now back to the subject of literalism veres symbolism, when scripture is made into symbolism, then it cannot be used for doctrine, and only used for an example of good vs bad. In other words they become bedtime stories to teach morals to people. If that is so. Then the gospel itself has become a bedtime story. If one man can say a certain text is a story, then another man can say the gospel itself is. And I know such men! People who believe that life of Jesus is supposed to inspire us to be good. And that’s all it is for! Bogus! I am not denying there is symbolism or stories in scripture. But man cannot determine what is and what is not. God does. And we do not need special knowledge for this, whether some elite, or some educated. The Bible itself will. Many many people take certain scriptures and tell me I cannot use them for doctrine. Baloney! All scripture is profitable for doctrine, all. Of coarse we cannot take verses, such as when satan says he will overthrow God, and make it into a doctrine. The balance is scripture itself, not special knowledge, not education. If a doctrine from scripture is countered elsewhere, then we must evaluate our interpretation of that verse. Obviously when we read the Bible we see that satan will not overthrow heaven. It is not consistent with the Bible. But we must be careful here. Some things are not as obvious. 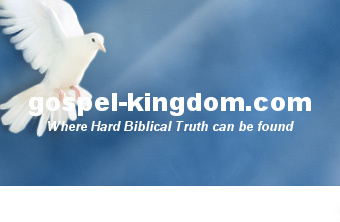 For a long time the people did not know salvation is by grace, and were taught it was by works. While scripture tells us the matter, it isn’t as obvious as satan’s defeat. Or how about the number of New Testament baptisms? That’s even less obvious. Many truths were lost in the dark ages and we are still digging more out of the Bible. Just because we don’t know about something, or our church doesn’t recognize it doesn’t mean its not true. That is determined by scripture itself. Eph 4:8: Wherefore he saith, When he ascended up on high, he led captivity captive, and gave gifts unto men. As long as we have the 5 fold ministry (apostles, prophets, evangelists, pastors, and teachers) we have not come into full maturity. So for pastors and churches to claim they have full knowledge is wrong, simply by the fact pastors and ministers still exist! And for them to say any different or new revelation is wrong, is a prideful sin of their part. The church lives by faith. Not certainty of doctrines all laid out centuries ago. That faith comes from the word of God, not writings of church fathers. Or church tenets. Are Some Books of the Bible not for the Church?